Simply Gorgeous! 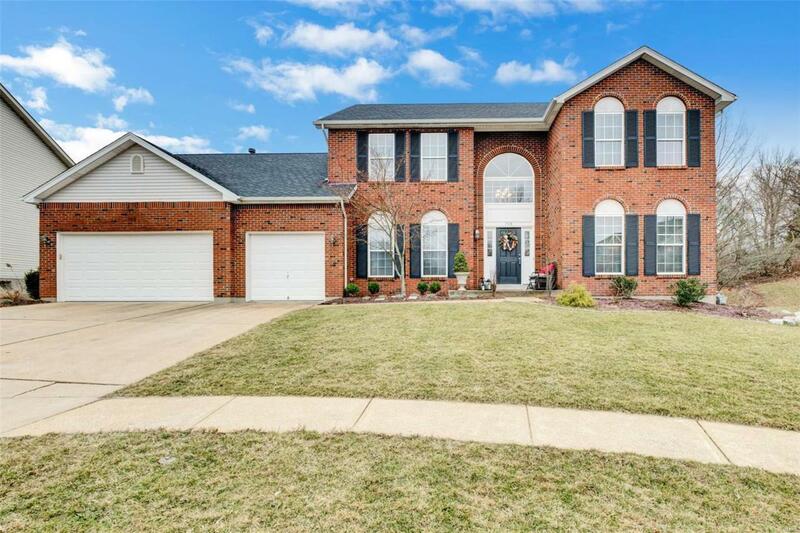 You will fall in love as you drive down the quiet street into the cul de sac & curb appeal galore w brick front. 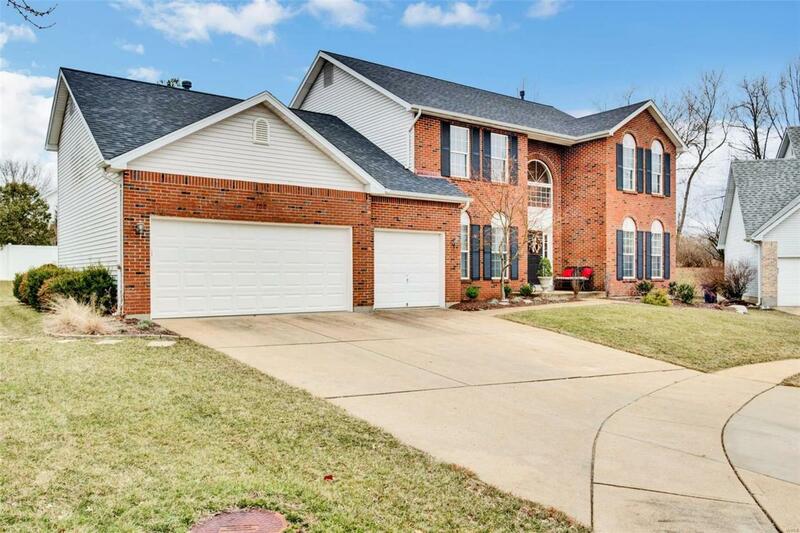 This home has the largest floor plan in the sought after Landings of Lake Chesterfield w over 4500 sq ft of living space to include finished LL w full bath, family rm, rec rm/office, workout rm & fantastic bar. 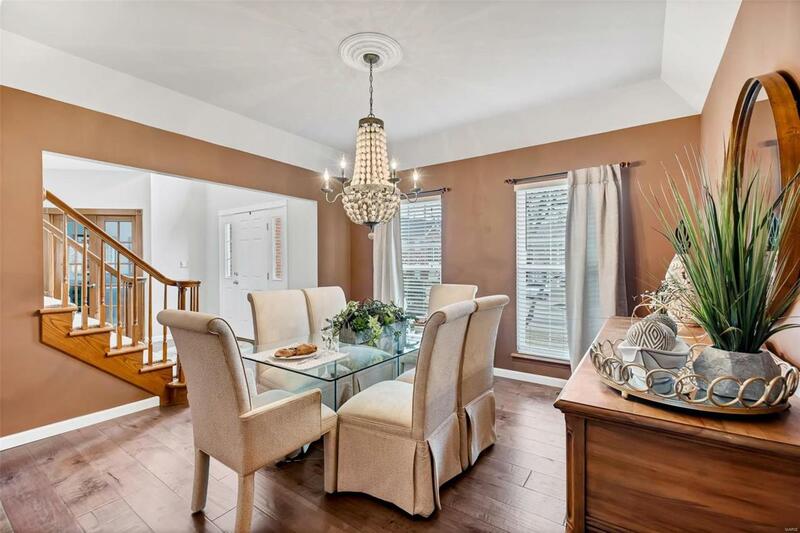 4 spacious bedrms, 3.5 baths, & 3 car garage are just the beginning. 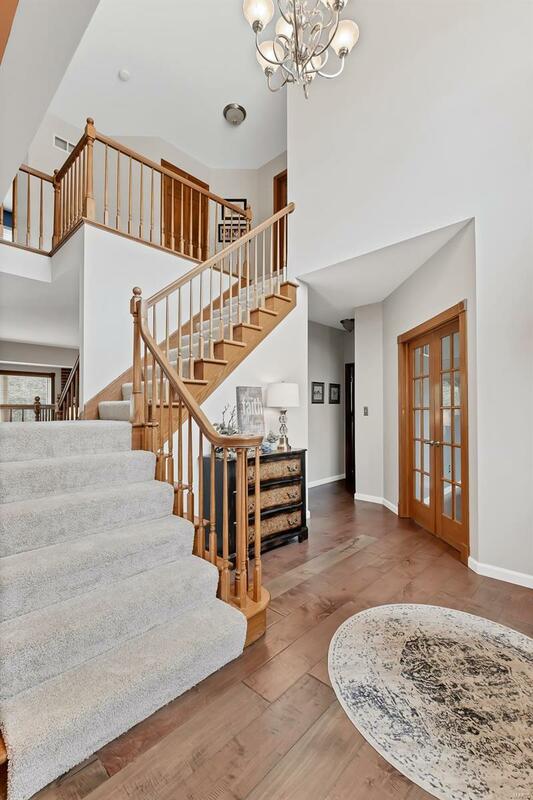 This home has been completely updated starting w newer engineered hardwood floors on main level '18, updated powder room '18, 2nd floor all newer carpet '19, Roof '15, updated master bath '17, laundry room '19, updated kitchen w molding & granite counter tops '19, newer landscaping in '18. If you think this might be the home for you... then the outdoor entertaining area will seal the deal. Outdoor patio area (2013) is a fantastic way to entertain with bar, food prep, and fire pit area. This home has it all.. And neighborhood pool and the prestigious Rockwood schools.